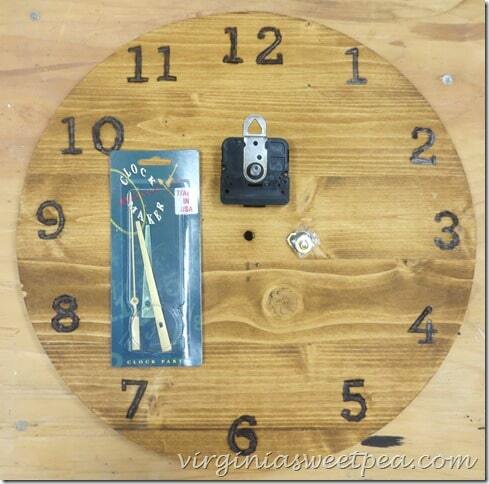 Have you ever thought about making your own clock? 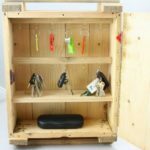 This is a project that I’ve been wanting to attempt and after making two clocks, the verdict is that a DIY wood clock is something that you can do. I’m sharing my DIY Wood Clock as part of this month’s Power Tool Challenge. Last month I shared a dog shaped sign that I made using a jigsaw. 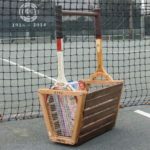 If you missed the jigsaw projects from last month, be sure to click over to see all eleven of them. 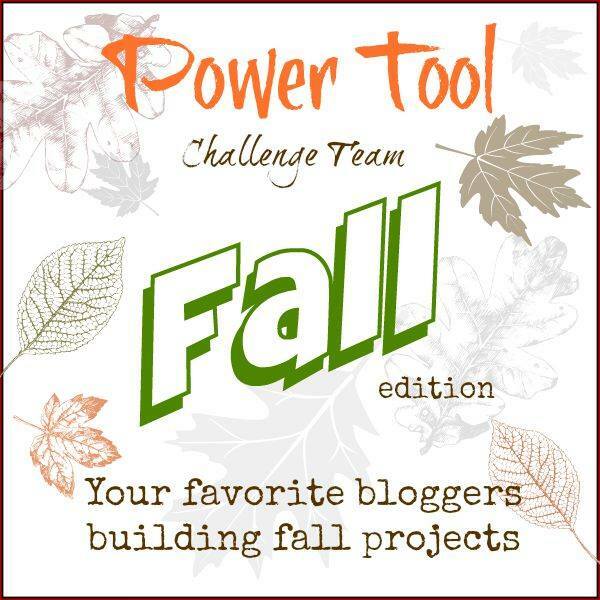 This month the theme for our challenge is fall. My clock will eventually be used on a decorated-for-fall mantel but for now it is waiting until next weekend when I hope to have time to do some decorating. Last weekend I managed to get my clock finished (plus one for my classroom), but I ran out of weekend and no decorating happened. I cut my own wood to make the clock, but you definitely could take a short-cut for this project by buying a pre-cut circle at a craft store. 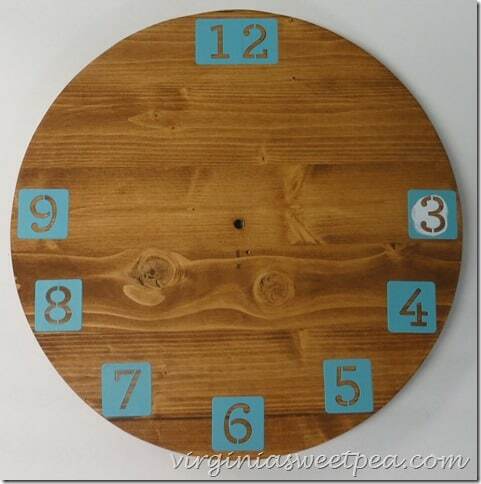 I used a wood burning kit to highlight the clock’s numbers and then added the clock movement and hands. The most time consuming part of this project was the wood burning. If I had painted the numbers with a stencil, I could have completed this quite quickly. 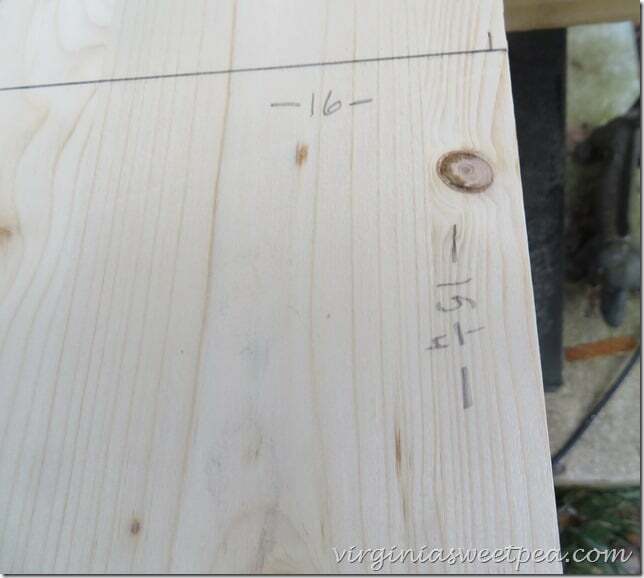 Wood for Clock – I used a 3/4 in. x 16 in. x 48 in. 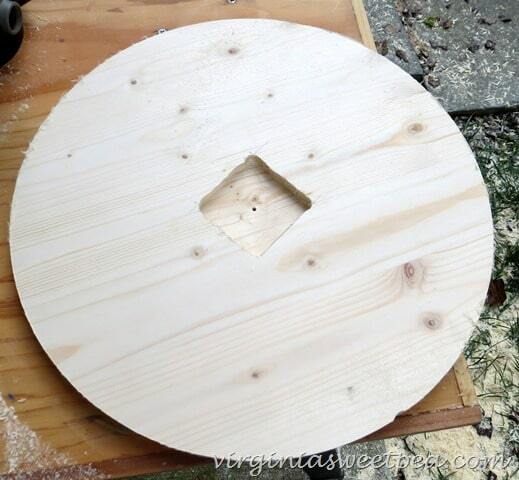 stain grade edge glued panel which is large enough to make three 15” diameter clocks. Thanks to Rockler for providing the circle cutting jig, clock quartz movement, and clock hands used to make this clock. 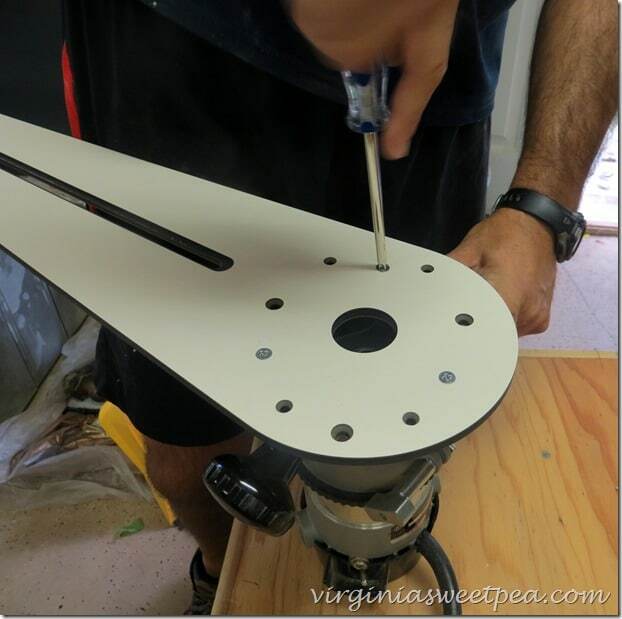 My husband and I both really liked the jig and look forward to using it for future projects. 1. Remove the router base plate and replace with the circle cutting jig. 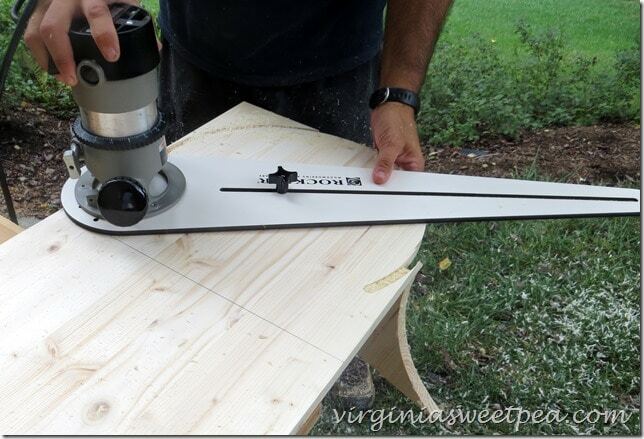 Insert the router bit at a depth sufficient to cut through the wood. 2. The clock’s diameter was to be 15”, so I marked off 15 1/4 in by 16” in. (purchased width of the board) and clamped the board to the workbench. 3. Drill a hole in the center of the marked off wood for a pivot point for the circle jig. 4. 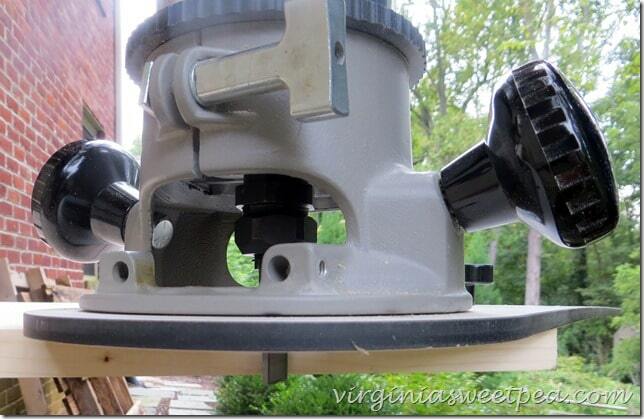 Set the circle jig at 7.5” radius. (The jig has a piece that fits into the hole that was drilled.) Cut a circle using the router and jig. Mr. SP did the first circle. 5. After cutting out our clocks, we realized that our board was too thick for the 1/4 in” clock movement. No problem! We marked off a square a bit larger than the clock movement. And then we used the router to remove 1/2” of the wood thickness so that our 1/4” clock movement would work with our 3/4” board. 6. Stain the board, let dry, and trace numbers onto the wood with a pencil. Wood burning is fun and the kit I got from Rockler included bunches of tips that I can’t wait to experiment with. 8. Follow the package directions to add the clock movement and clock hands. 9. Add a hanger to the clock’s back, hang and enjoy your DIY clock! 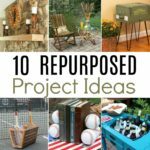 If you enjoy Pinterest, I’d love for you to pin this project so that others can discover it. Now enjoy my friends’ fall themed power tool projects for this month! You go girl! 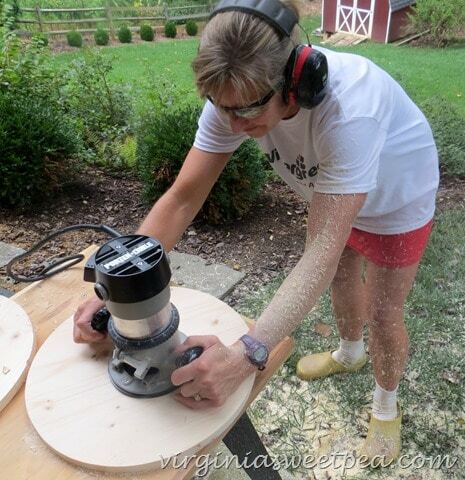 Love the power tools and simplicity of this project – so fun and functional. Great job, Paula! I love this clock! 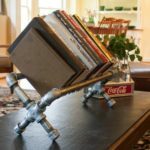 It is a project that anyone can do and it can be finished in so many different ways! Awesome job! Added to my Must Have List is that awesome router circle jig – please Santa if you’re watching!! Burning the numbers added so much character than stencilling them. 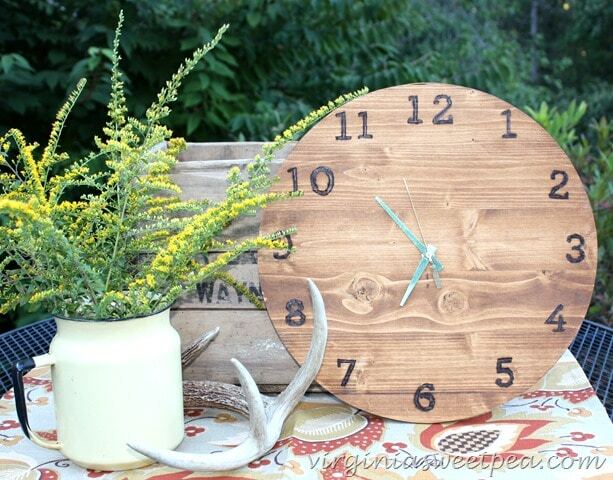 Love your clock Paula and look forward to seeing it hung on your Fall vignette! Whoa. I am really impressed. It took a lot of work – and a lot of tools – to get this perfect. I love the kind of modern rustic look it has. It will look great on your mantel! 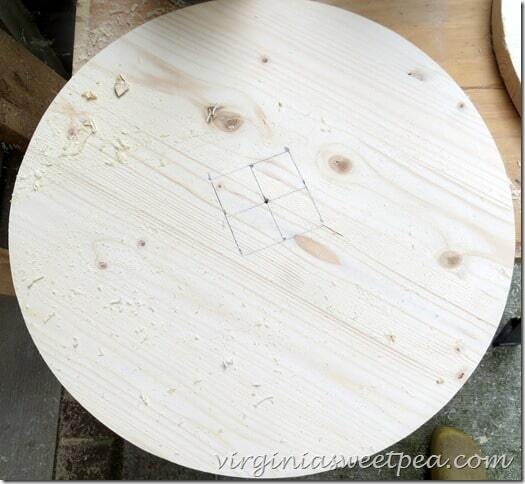 Now I officially want the circular jigsaw, so much easier for circles! I love how this turned out. I love this, Paula! 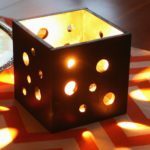 I just used a wood burning tool for the first time last Power Tool Challenge and it’s one of my favorites and so easy to use (minus the burns! LOL). You’re making my jealous with that router. 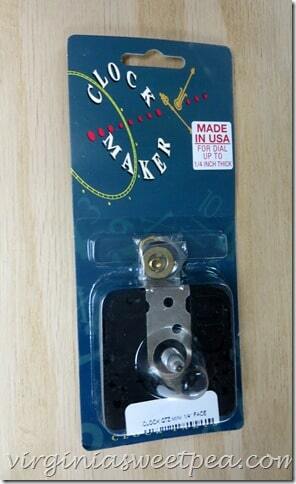 Mine doesn’t work so well, so I may have to look into Rockler for one! 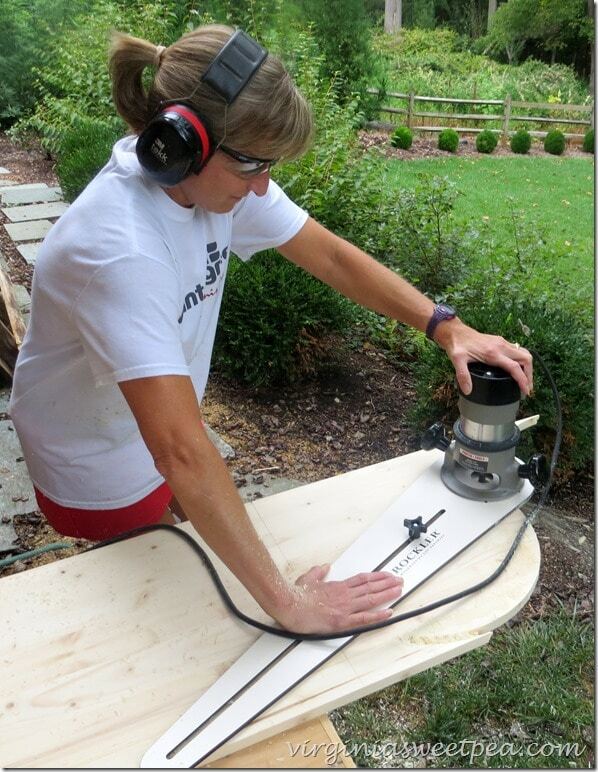 Great having you part of the Power Tools Challenge Again! Beautiful clock, great job. I love the wood burnt numbers. 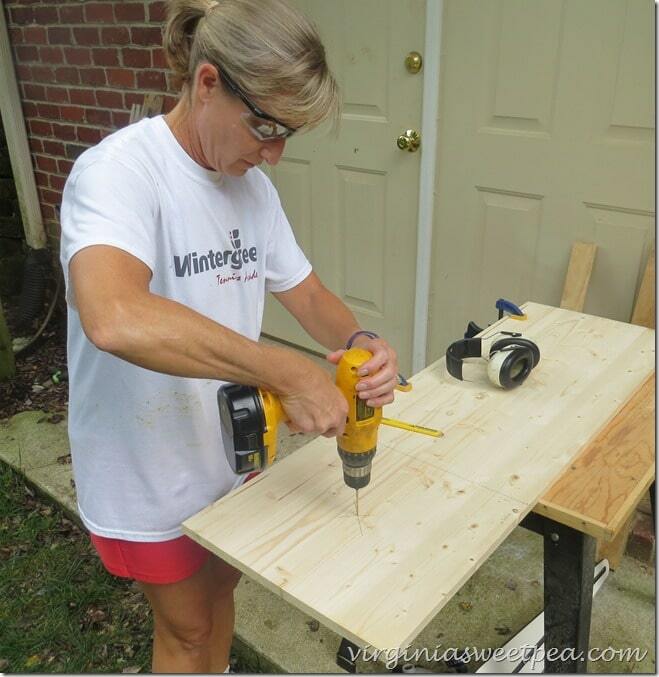 ah ha, you made a stool in 8th grade which is why you are so comfortable now with power tools, good for you, so many possibilities! I keep wanting to get into power tools especially for one of my boys but life is just so busy that I haven’t found the time, sigh. Thanks so much for sharing on craft schooling Sunday! Pinning this, what a wonderful project! 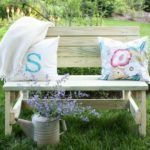 We would love to have you join us at the to Grandma’s house we go link party! Love this! 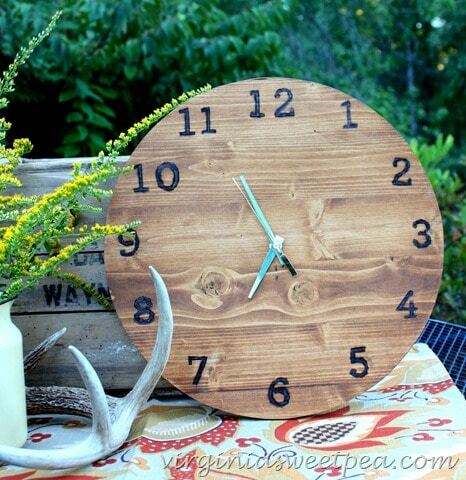 This would be perfect for my Lumberjack Nursery! 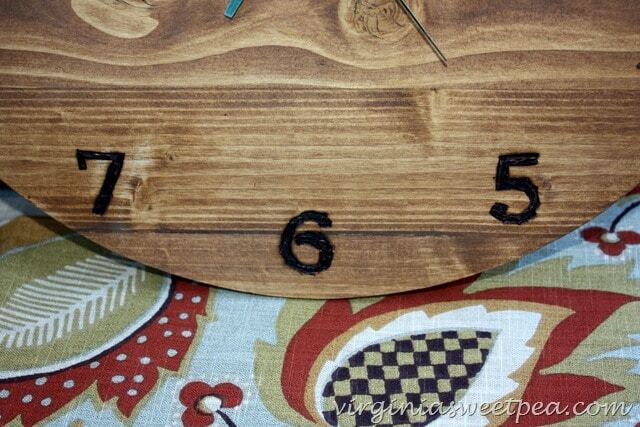 It would be perfect for your lumberjack themed nursery! Love this pretty clock. 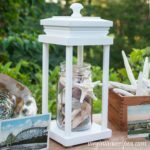 I hope you’ll share it with us at The Crafty Corner link party this week. Your instructions and “Step-By-Step” Guide to making this awesome clock are Great! 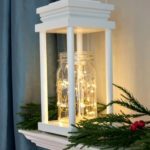 It is nice to read a blog that not only gives opinion but also on how to complete a project that look great in any home.